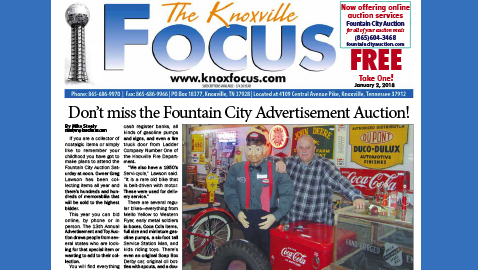 Don’t miss the Fountain City Advertisement Auction! If you are a collector of nostalgic items or simply like to remember your childhood you have got to make plans to attend the Fountain City Auction Saturday at noon. Owner Greg Lawson has been collecting items all year and there’s hundreds and hundreds of memorabilia that will be sold to the highest bidder. This year you can bid online, by phone or in person. The 13th Annual Advertisement and Toy Auction draws people from several states who are looking for that special item or wanting to add to their collection. You will find everything from a 1950s Coca Cola School Guard Sign to John Deere items and pinball machines. There are small cash register banks, all kinds of gasoline pumps and signs, and even a fire truck door from Ladder Company Number One of the Knoxville Fire Department. There are several regular bikes—everything from Mello Yellow to Western Flyer, early metal soldiers in boxes, Coca Cola items, full size and miniature gasoline pumps, a six-foot tall Service Station Man, and kids riding toys. There’s even an original Soap Box Derby car, original oil bottles with spouts, and a double-sided parking meter. Other items include neon signs, thermometers, advertising clocks, showcases, vintage wind-up toys, license plates, pedal tractors, country store items, and so much more. 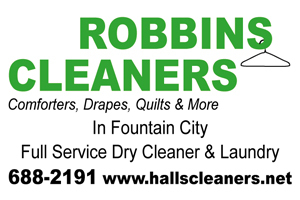 Fountain City Auction is located just off Interstate 75. Take the Merchant Drive exit east to Central and turn right. The large auction house is not far down the street. The auction house is a comfortable 10,000-square foot heated building with seating for 250 people. A large projection screen shows the items as the auction is underway. A variety of refreshments are available at a reasonable price. You can view each item online. 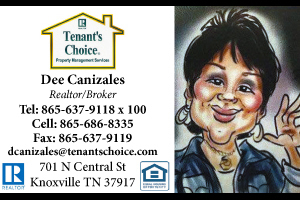 You can also call the Fountain City Auction at (865)604-3468. The auction is family-friendly and there are lots of bargains and lots of fun watching the items and the bidders.